Underground water from the Hida Mountains was pumped up from 30 meters underground, 100% natural water is used. This water is perfect for Japan sake making with soft water natural sterile water. Made a deep well that is popular with the local people you can enjoy the water in front of the brewery. Tenryo began home in Omi Hino Uenoda.Building a ground in the Ohmi district as a vassal of the Ujisato Gamou, he called Sahe Hinoya, and since the beginning of the Edo era, he was peddling around Honshu one yen from Kousyu Hino. After that, we set up a store in Hida for trading, I was fascinated by the fineness of Hida's humanity, the beauty of nature, the beauty of customs, I lived in this place and started doing Japanese sake brewing while selling goods.In the Meiji Era it began to do the sake brewing business as a family business, and in 1951 it became a corporation as "Tenjyo Shuzo Co., Ltd." and it has reached the present. Sahee Hinoya who loved the nature of Hida and loved humanity is a spirit of spirit. 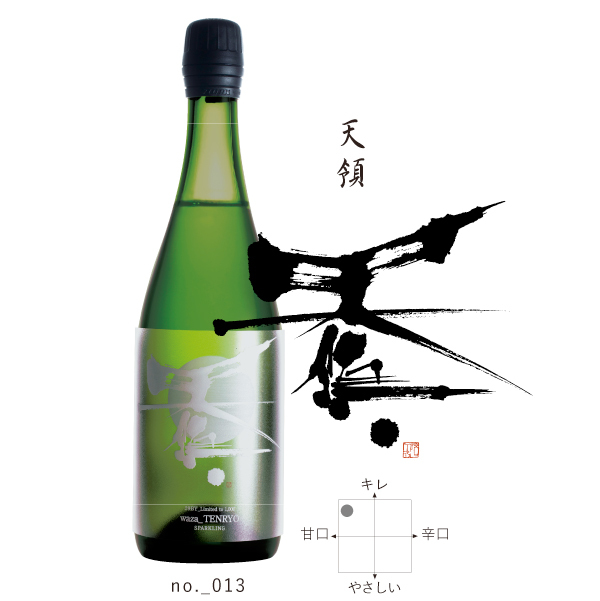 Continuously inherited to the eighth generation of modern times, the favorable rice liquor brewed under the natural grace of Hida "Hida Honare". We use groundwater from the Hida mountain range, stick to our own polished rice, and continue growing to the world who makes sake of Hida.